This frame features Calgary Flames All-Star Johnny Gaudreau. Another player drafted later due to his size, Gaudreau has shown dominance in the NHL, skating circles around some of the best. Johnny Gaudreau has made his statement in the NHL that size doesn’t measure heart or grittiness. Gaudreau has put up a remarkable 288 points in 312 NHL games after this 2018 season. 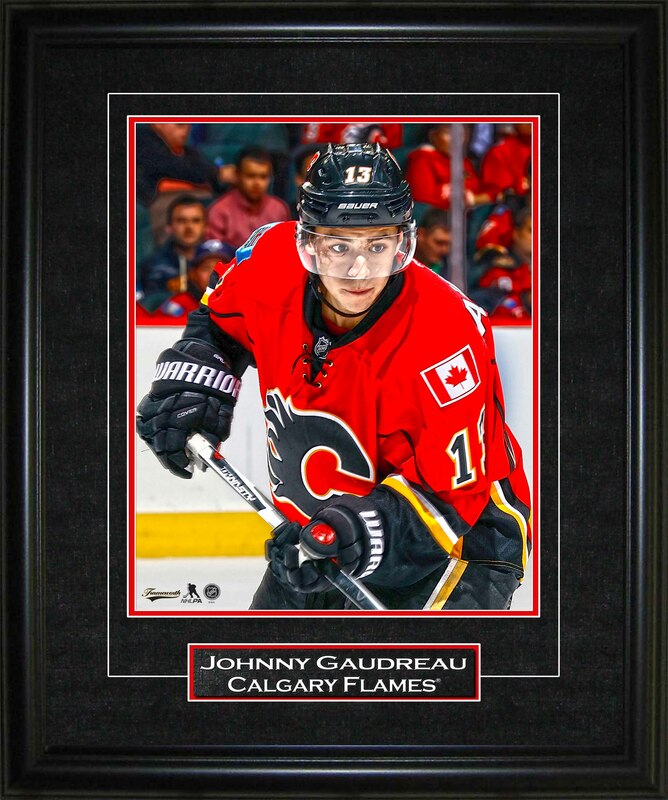 Gaudreau has been remarkable on the Calgary powerplay, putting up 82 points in the past 4 seasons. This NHL & NHLPA licensed product comes with a Frameworth hologram and COA to ensure the authenticity of the signature. FINISHED SIZE: 15x17".